Remember the D.A.R.E. days, when you were told to choose your friends wisely, because good friends means you’re less likely to do drugs? The self-reported study originally aimed to better understand how social cohesion in disadvantaged neighborhoods impacts substance use. 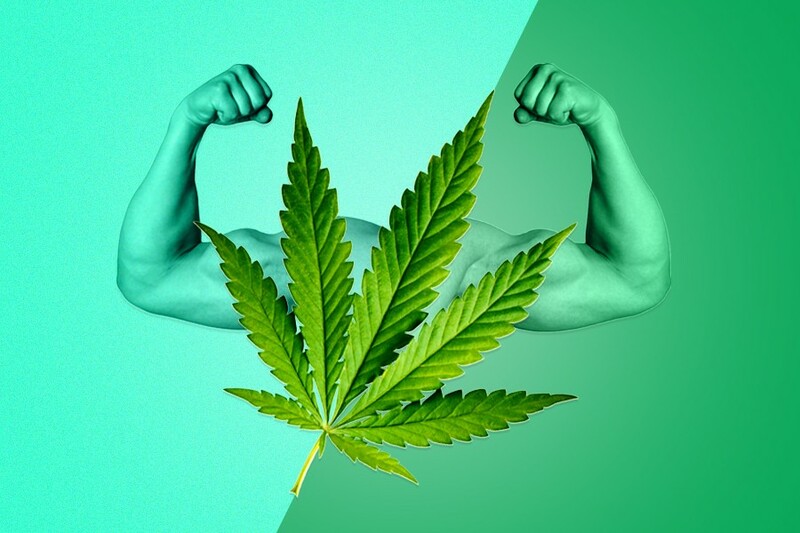 But since the study contained all male participants between the age of 18 and 25, the researchers also examined how masculinity affects marijuana usage within the context of social cohesion. According to Taggart, the study defined traditional masculinity traits as “anti-femininity, toughness and self-reliance.” “Those are the norms of traditional hegemonic masculinity,” says Taggart. Based on answers to survey questions, the study found that as men’s endorsement of traditional masculinity increased — i.e., stronger anti-femininity viewpoints, such as “men shouldn’t cry,” or that men shouldn’t be secretaries or nurses — for those men, there was a positive association with regular marijuana usage. But here’s where things gets a bit confusing. Taggart also explains that since, “Masculinity isn’t dichotomous, it’s a continuum,” other traditionally masculine traits such as self-reliance and having a status as a breadwinner actually decreased men’s substance abuse habits. In other words, men’s marijuana usage habits depend on which definition of masculinity they value most. She thinks this is because for those men, a person who uses marijuana regularly is viewed as unable to take charge of their family. “It’s important to understand the context,” she adds. That’s partly why she stresses that masculinity has different dimensions, and that not all of those dimensions are inherently negative or toxic. “Some of these traditionally masculine traits have positive effects in relation to substance use,” says Taggart. She also points out the importance of taking a more nuanced approach to understanding masculinity and its effect on substance use. “We’re all gray. Just a bunch of gray. It’s just a matter of sometimes, you’re a darker shade of gray, and sometimes you’re lighter,” says Taggart.